So, I'm sure it goes without saying that alot of us on the summit are cyberpunk fans as a whole, in addition to being blade runner enthusiasts. This jacket is the result of my fascination with the lifestyle and genre that is cyberpunk. 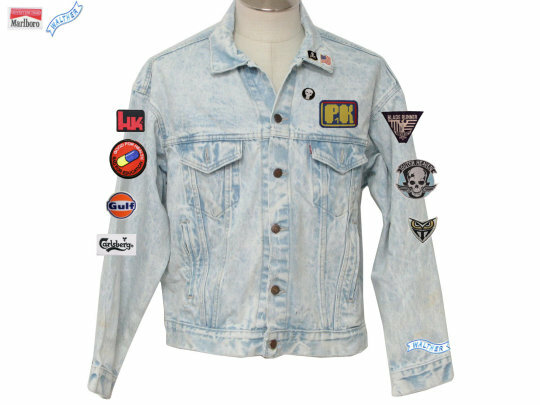 I love battlejackets and cafe racer ton up biker jackets and that kind of served as the base for reference with the jacket as well as obvious punk influence. I wanted the jacket to look like it could be worn by some neo-punk biker gang in 2019 LA or Neo Tokyo like Akira. I used some patches that I had, as well as ordered some from ebay. 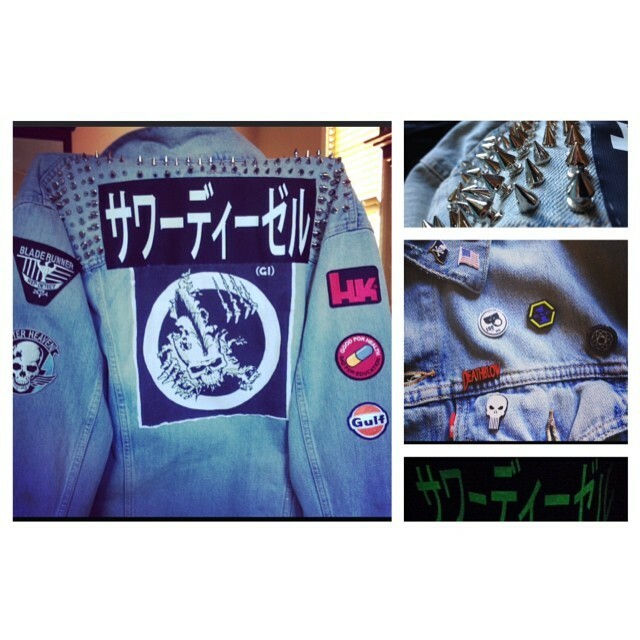 Here is the process of my cyberpunk jacket. 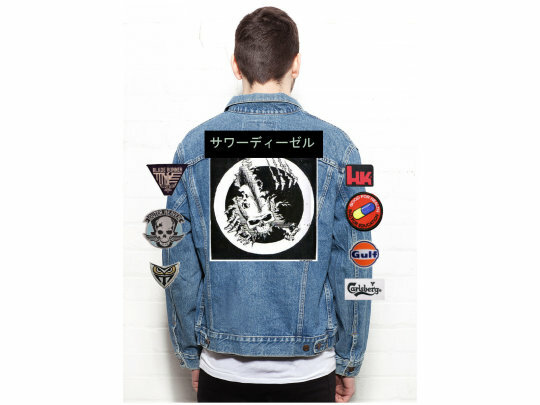 At first I used stock photos of the levi denim jacket I had. Then i compiled photos of the patches I had, and the ones i planned on ordering to see what the overall look would be. The top rocker on the back is in Japanese, I had to have that patch custom made. Its vinyl and the lettering will glow in the dark to add that neo-punk look. 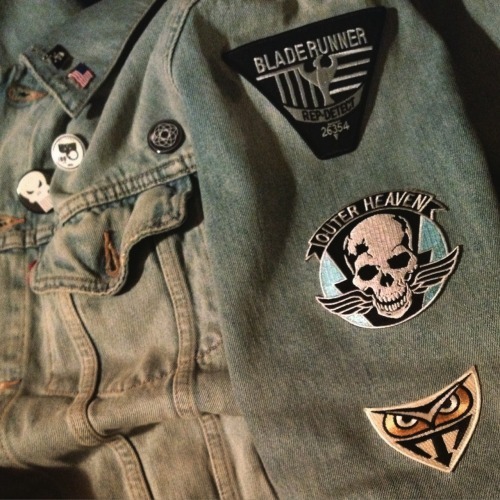 Now, I understand the Blade Runner patches I used, are not in any way screen accurate. That wasnt the point. It was more to capture an aesthetic I wanted with the jacket. And being I love that movie so much I felt compelled to include the patches I wanted. Anyway, I'm pleased with the overall look of the jacket. 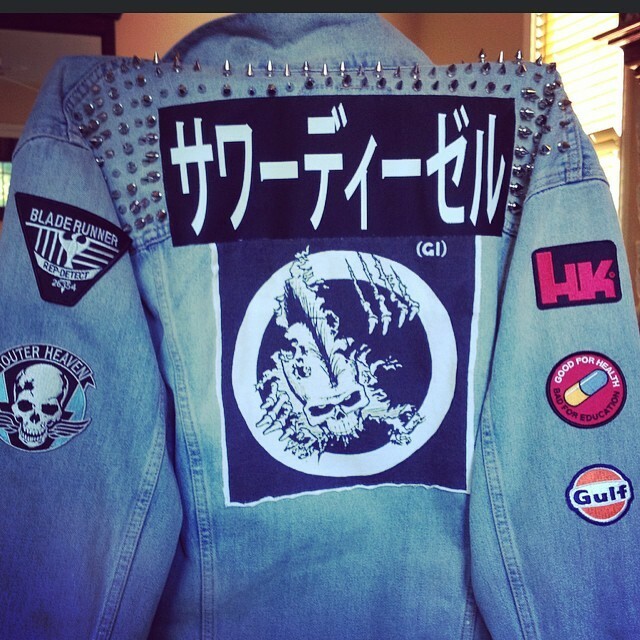 I think all the patches play well with eachother to compose a pretty gnarly jacket for me to wear around. I'd love to know what some of your thoughts are on it. 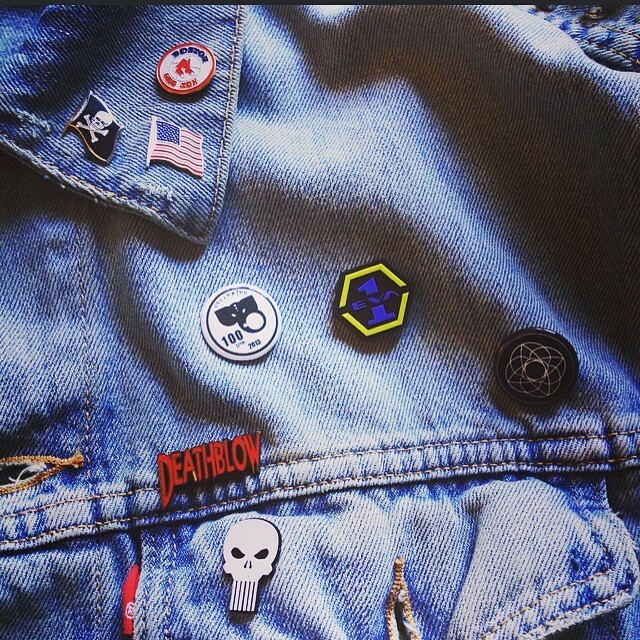 Or if anyone else has made some battlejackets of their own feel free to show em off! I think it's fitting with that Akira overall look. I don't have the same taste (I prefer aviator/flight suit/bomber jackets). Yea, i was going for the akira biker jacket look but not a red leather jacket, and still somehow incorporate my blade runner patches on it. an aviator would have been real nice, thinking about it. 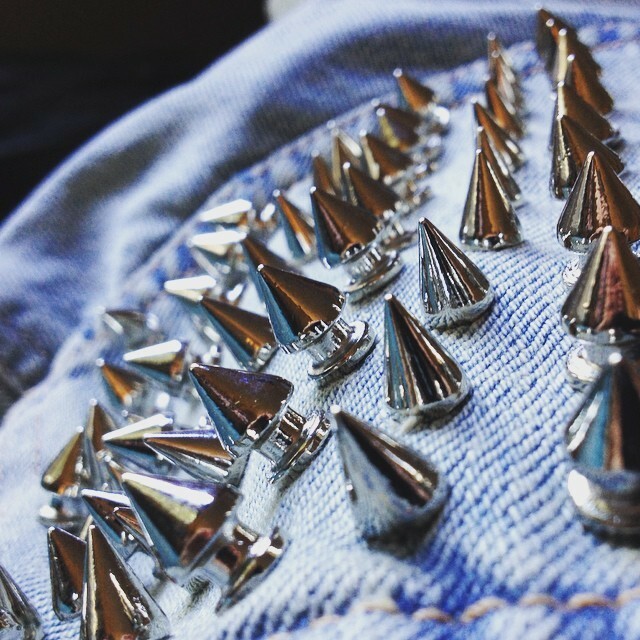 the back rocker would look sick on a black jacket.. Hmmm might steal that idea for the next one. I love it. I have a leather jacket I am applying my patches too. its funny that the steyr patch was pointed out to me. When i finished applying the HK patch I thought to myself, I should have looked for a steyr patch. Quick update on the jacket ive been making. its a work in progress and its been fun to do when im bored. Wore it out to the theater when i went to see avengers, it def had some people's heads turning. The glow in the dark back shoulder rocker was probably a nice touch in the darkness of the theater. This jacket is getting better with every update. Now the question is: where to stop? How about some patches from Alien? Not Sour Diesel but rather Kat Kerosene . Alien patches would be great also!